It’s a pretty thankless task, saving the world. 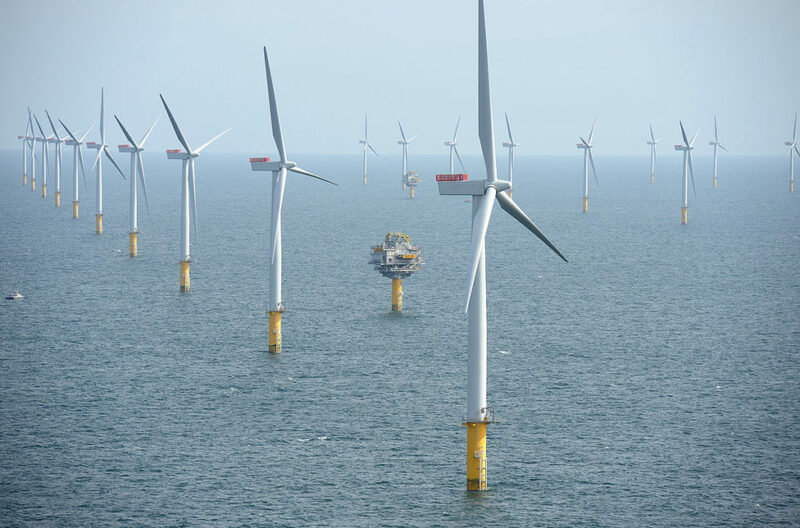 Those massive wind turbines turning far out to sea need careful nurturing as they fight global warming and bring down the cost of energy. To look after these gigantic machines, technicians must rise with the first light and prepare meticulously for the day ahead. Each technician travels many hours a day, from home to a distant port and then out into the vast ocean, enduring drizzle, cold and wind. Then they climb into the belly of an air-slicing monster and scale hundreds of feet into the grey North Sea sky. There they must stay alert for the tiniest details, like the hairline crack that gives away a budding blade failure or the flicker on a boroscope that signals a gearbox in trouble. The work must be done carefully but fast: fading light, changing tide, wind picking up, a storm front moving in, can all add to the pressure to work as quickly as possible. Still, though, every observation must be meticulously noted down, because tomorrow another technician could be climbing these same rungs and looking for the same hairline crack. Then it’s back to the vessel and the long, cold trip back to port. All the technician wants to do now is get home, to a warm supper. They can’t, though. Instead, they must go to the office and log every note, every incident, every update, into the system, so tomorrow’s crews know where to go and what to look for. That final hour, cursing as numb fingers make mistakes and numb neurons search for details, is the offshore wind farm technician’s worst. But it need not be so. With Papertrail, the nightmare hour ceases to exist, because everything they do can be logged as they work. A crack on a blade? Save the photo on Papertrail. A check that a safety hatch is in working order? Add it to Papertrail. A missing harness? Notify it on Papertrail. Then, as soon as the technician comes within reach of a mobile or Wi-Fi network, the notes on their mobile device flow seamlessly onto the system. So the technician steps off the vessel, waves goodbye, and heads home to get a good night’s rest before the next day. Working in renewables? Find out more about how Papertrail can make your life easier. If you work in a large business you probably know how important it is to keep your corporate customers happy. And how difficult it can be sometimes to do something that really matters. At least one personal protective equipment (PPE) manufacturer has hit the right note, though, with an idea that makes life easier for its top clients… and at the same time saves them up to £50,000 a year. That is roughly the value of the administration time invested every year by DMM’s biggest customers when they had to keep track of all their PPE by hand. As a maker of premium products, DMM knew that wasn’t good enough, particularly when some of its larger customers were placing orders for more than 10,000 items a year. That’s why DMM decided to add RFID tag scanning to its products in 2014. The DMM iD tagging scheme made it a lot easier for customers to log product data, for example for inspection purposes. But Robert Partridge, DMM’s product manager, knew the icing on the cake would be to also provide a software system that could store all that information. This was not a task for DMM, though. Partridge had seen other hardware manufacturers try and fail when it came to developing software to go with their products. It just wasn’t a core skill, which meant the results would be costly and possibly sub-standard. Fortunately, Partridge knew where to look for help. At the time, DMM was sharing a business park with Papertrail. The two companies started talking, and Papertrail’s technical experts set about integrating the Papertrail platform with DMM’s back-office systems. The upshot is that now a customer who scans a DMM product serial number can quickly and easily import the product details to their Papertrail account, at no additional cost. Partridge estimates this could ultimately save up to 90% of the administration time involved in an inspection, and some of DMM’s customers have already halved the time they need for inspections every year. Besides saving time and money on inspections, the customers are using their PPE for longer. Before, many would simply throw the equipment away when it was due for inspection, because it was cheaper to buy new items than to spend time on checks. Now they are saving on new purchase costs without having an impact on health and safety standards… which is plenty of reason for customers to feel happy about choosing DMM. Checking on your lone workers? What about their kit? Looking after lone workers is a big responsibility. 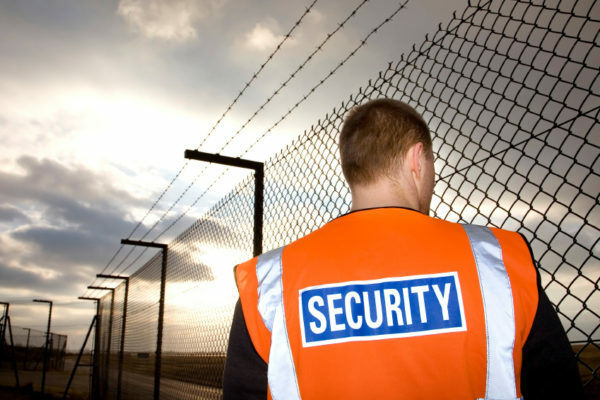 If you have an employee, such as a security guard or night watchman, who is on their own for long stretches of time then you need to make sure they can get help if they are in trouble. This need has spawned a small technology industry addressing the fact that many lone workers, of which there are about 4 million in the UK alone, may not be able to able to use their mobile phones to call for help in the event of a problem. In the UK, for example, SoloProtect supplies a device called the Identicom that provides personal safety features along with identity badge functionality for organisations such as the National Health Service. If a health worker is in a potentially confrontational situation with no other staff around, by discretely pressing their identity card they can activate a hotline to an alarm receiving centre where an agent will record what is going on and send help if needed. German firm LIV tec goes a step further with a gadget that will broadcast a user’s location if the bearer stops moving for a suspiciously long amount of time. Such technologies can bring help to someone in trouble at a remote location, but they cannot prevent people from getting into trouble in the first place. For that, you need to make sure that the equipment a worker is relying on does not cause an accident… and can be fully relied upon if it is needed. An intruder alarm that fails to work, a fire door that will not open or a flare that will not ignite are all examples of equipment problems that can be challenging in any situation, but are potentially much worse when you have nobody around for backup. And if you are equipping your lone workers with some form of alarm-giving device, you need to make sure the technology itself works whenever it is needed. Thus the only way to really keep your lone workers as safe as possible is to make sure the items they may have to rely on are checked regularly, and any defects are logged in a way that is easy to see and assists with quick remediation. Doing this is easy with a system such as Papertrail, which can help you schedule inspections at regular intervals and check that each inspection has been carried out. Don’t let your people leave without having it in place. We’ve all seen the image of the person sawing off the branch they are sitting on. And if you do an Internet search for ‘health and safety nightmares’ then you’ll find plenty of examples of madcap activities that seem to defy common sense… and certainly wouldn’t go down well with a health and safety (H&S) inspector. There’s the construction plant operators playing football with diggers, for example. Or the worker using a colleague’s back as a bench for a circular saw. It’s easy to dismiss such far-out incidents as having little bearing on your own, safety-conscious operations. On the flip side, it’s also easy to see H&S inspections as a chore, to be avoided at all costs. And there’s no doubt that passing an inspection can be a harrowing process, particularly since inspectors in most jurisdictions could potentially shut down your business. The problem with this mentality is that a disdain for inspections may lead to a disdain for health and safety itself. And that could have serious consequences for your organisation. Far better, then, to take the opposite view… and think about how you could become an inspector’s best friend by making their visit quick and painless. The first and most obvious step in this process is obviously to make safety a priority and check for any potential hazards that need to be addressed. Having a workplace that is visibly free of hazards probably goes about 95% of the way towards dispelling any concerns your inspector might have. But you may still need to deal with the lingering doubt that you’ve simply tidied everything up the day before the visit. For this, you need to have documentation that proves your long-term commitment to safety. Having this information to hand is important, but it’s also worth bearing in mind that the way you present it can matter, too. A mass of crumpled inspection reports, dug out from a musty drawer, is hardly going to instill confidence in your safety regime. On the other hand, being able to access reports online, in a way that is easy to scan and analyse, will go a long way towards showing safety isn’t something you just polish up for an inspector’s visit.